The Wire show in Düsseldorf (April 16 to 20, 2018) is just around the corner. Sampsistemi looks forward to meeting customers, partners and friends at Hall 9, Booth 9C60 to show the results of its constant strive for precision and excellence, in an effort to make customers’ manufacturing more reliable, efficient and environmental friendly, decreasing production costs and scrap rates while ensuring an excellent wire and cable quality. The Sampsistemi Rod Breakdown Platform (RB Platform) is based on the multi-motor technology for rod breakdown machines and annealers. The RB Platform consists of three product segments in the drawing section, R1, R2 and R3, all designed to meet every possible customer requirement depending on their final application (redrawing wire, power cable, enameled wire, flat wire, welding wire etc.) and materials (copper, aluminum and alloys). Horizontal and vertical annealers with contact rings up to 700 mm and annealing current up to 12000 A are available. The product portfolio is rounded out by a wide range of single and double spoolers, with manual and automatic reel changeover, static spoolers and coilers. The Sampsistemi Multiwire Drawing Platform (DM Platform) and the Multiwire Annealing Platform (AN Platform) is based on the latest advanced technology developed by Sampsistemi, such as slip-recovery, multi-motor technology for annealing, motion control, HMI system and electronic annealing equipment. Aluminium and its alloys are playing an important role in the development of wire and cable solutions for automotive applications. For this reason, Sampsistemi is engaged in a continuous improvement of the whole range of products designed for the multi-wire drawing, in-line annealing, spooling and successive bunching process of aluminium wire. The DM Platform consists of drawing machines up to 56 wires, with wide outlet wire diameter, from 0.05 to 1.35 mm, and inlet wire up to 2.6 mm. Slip-recovery technology, based on the splitting of gear transmission into two or more independent sections, each one driven by one or more motors synchronised by PLC, allows less wire stress and breakage, a reduced wear of capstans and guiding elements, a better wire quality and a reduction of energy consumption by 10-15%. The AN Platform includes several technical features, such as improved cooling and drying system, multi-motor technology, adjustable pre-heating length, wire-walker before contact rings and cleaning device on contact rings. The control system is able to set up all production parameters to form a production recipe stored in the HMI panel. The Annealer Platform is completed with the latest developments in annealing technology, such as the electronic equipment that improves the wire surface quality and energy efficiency (PF > 0.90). With the recent acquisition of Euroalpha, Sampsistemi has enlarged its product portfolio of Rotating Machines, particularly in the large double-twist and single-twist technology. 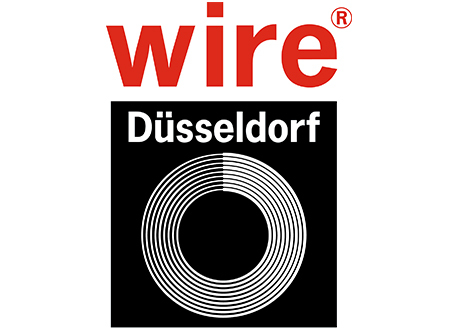 At wire Düsseldorf visitors will have the opportunity to see the new Single Twist EST 1250, characterized by a smooth wire path for high quality strand, dual pintle take-up for reels up to 4500 kg, a low inertia single-arm flyer for high-speed and energy saving, functioning as a back-twist pay-off for multi-pass strand, low maintenance and no foundations or pit required. As one of the leading companies in the extrusion technology, always guaranteeing an extremely high production output while at the same time ensuring an excellent quality of the final product and the possibility to work a wide range of materials, Sampsistemi is also displaying the SAMP 120-25 Extruder for the LV cable sheathing. This machine is engineered also for HV sheathing cables and fast insulation lines with different compound types. Moreover, Sampsistemi also produces machines for the rubber market and recently increased its product portfolio due to the acquisition of the Italian company Euro Extrusion. At the wire Düsseldorf, also the silicone extruder ES.60.13D will be shown, featuring a conservation design engineered for easy and practical maintenance, as requested by customers worldwide. Also on display, a SAMP 80-25 extruder from the Sampsistemi Research & Development laboratory, where the Italian company tests a number of different cable types in realistic production conditions to improve machine performances and supply its customers with cable samples. These and many more surprises will be awaiting you at wire Düsseldorf, Hall 9, Booth 9C60. Visit our stand !